Captain Walt Steiner retired from the Naval Reserve in 2001, with almost 33 years of total service, and two tours of extended active duty, thus accumulating nearly ten years on the Active Duty List. He held four commands, including Command-at-Sea with a Fleet Aviation Squadron (HM-18) that he commissioned and commanded as a Naval Reserve Force Squadron. His last extended active duty tour was with the United States Mission to NATO, Brussels, Belgium, where he reported to the U.S. Ambassador to NATO and the Secretary of Defense’s Representative to Europe as Chief of Navy Mission, Deputy National Armaments Director’s Representative, Senior Reserve Advisor, Naval Armaments Officer, and NATO Standardization Officer. He also directly supported the Special Assistant to the President and the Secretary of State for NATO Enlargement as the USNATO Liaison for United States Congressional Delegations to Europe and NATO. As a Navy pilot, he has 2000 flight hours in fixed and rotary winged aircraft, multiple warfare qualifications, and is fixed-wing carrier qualified. He flew with the following helicopter squadrons, units and detachments: White Hat Airlines (aka AIRCOFAT) in Vietnam in 1972, HS-74 Augment Unit from 1975-1976, HS-75 from 1976-1983, and HM-18 from 1986-1988, as well as training periods with HC-6 in 1972 and HM-12 in 1986. His personal awards include the Defense Superior Service Medal (with oak leaf for 2nd Award), Defense Meritorious Service Medal, Meritorious Service Medal, nine (9) Air Medals, Navy Commendation Medal, and Navy Achievement Medal (with Combat “V” for service in Vietnam as a Helicopter Combat Support pilot and Naval Advisor). Captain Steiner also retired from the Federal Civil Service in 2000 with 30 years of service in four different Federal Departments and Agencies: Department of Navy’s Chief of Naval Operations’ Staff (OPNAV), Defense Intelligence Agency (DIA), National Aeronautics and Space Administration (NASA), and the U.S. Department of Labor. In his last position before retiring, he was the Deputy Director and Special Assistant to the Director of Naval Reserve for Legislation, Liaison and Information. His civilian awards include the Department of Navy’s Civilian Superior Service Medal, Department of Homeland Security’s Coast Guard Civilian Meritorious Service Medal, and NASA’s Achievement Award for Space Commercialization. Captain Steiner was last a Senior Consultant and Engagement Manager for the Touchstone Consulting Group supporting the Office of the Secretary of Defense (Assistant Secretary for Homeland Defense and Americas’ Security Affairs) having recently retired from SRA International, the parent company of Touchstone. In 2010, he retired as a senior business development manager in Boeing’s Phantom Works. At Boeing, he integrated business development initiatives and solutions in Modeling, Simulation, Analysis and Experimentation at the Boeing Integration Center in Arlington, VA. He previously supported strategic business development for the Future Combat Systems program at Boeing. He came to Boeing from the Reserve Officers Association of the United States where he was the Director of Naval Services, with legislative, lobbying, representational and constituent service responsibilities for the Naval Reserve, Marine Corps Reserve, Coast Guard, Public Health Service and NOAA Commissioned Corps, from 2000-2003. Captain Steiner received his Bachelor of Science degree in History from Tennessee Tech in 1968 and a Master of Arts degree in Political Science from the University of Massachusetts-Amherst in 1980. He completed Navy flight school in 1969 as a Designated Naval Aviator and Aircraft Maintenance Officer School in 1970. He is a graduate of the NATO Senior Officer Policy Course, National Senior Intelligence Course, Contemporary Executive Development Program at The George Washington University, courses at the Naval War College and National Defense University, both the Army and Navy Inspector General Courses, Federal Law Enforcement Training Center’s Investigator Course, Federal Emergency Management Administration’s Emergency Preparedness Liaison Officer course, and the CINCLANTFLT Senior Naval Reserve Officer Orientation Course. Captain Steiner has been active and served in multiple elected and appointed national positions in national security, naval, Reserve, veterans and charitable volunteer and service organizations. He is presently the Executive Director of the National Defense Political Action Committee. 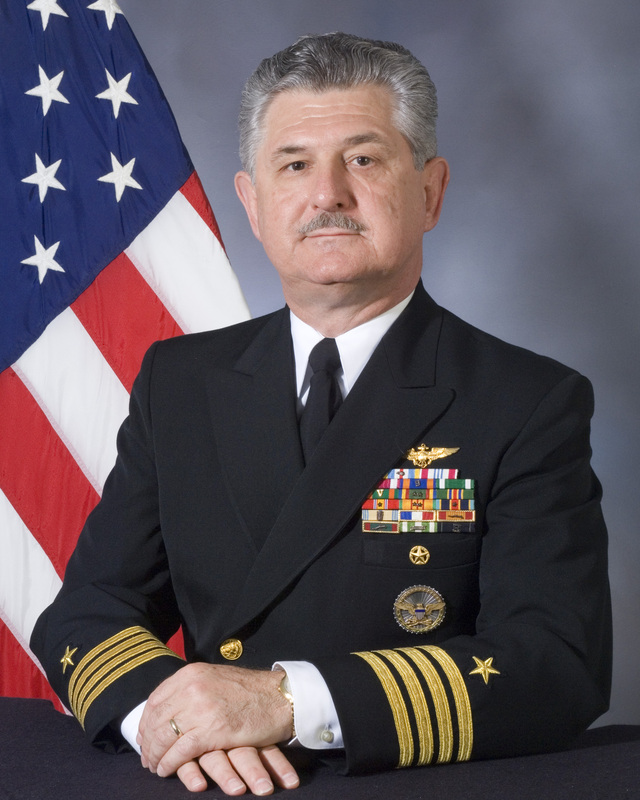 He most recently served as National President of the Association of the United States Navy (AUSN) from 2007-2008. He has written extensively in association journals and the public press in those subject areas as well. He is a Life Member of the AUSN, Naval Enlisted Reserve Association, Military Officers Association of America, Reserve Officers Association, Disabled American Veterans, Naval Order of the United States, Veterans of Foreign Wars, and Sovereign Military Order of the Temple of Jerusalem. He is also a Member of the Navy League, Navy Memorial, American Legion, The Tailhook Association, Navy Helicopter Association, Navy Helicopter Veterans Association, Fleet Reserve Association, American Military Retirees Association, Military Order of the Carabao, National Rifle Association, National Association of Retired Federal Employees, Naval Academy Club and the Marines Memorial Association. He is retired and resides in Clearwater, Florida and Edgewater, Maryland with his wife, Michelle. They have three grown children.